Funeral Services for Victor Joseph Rebenock, 86, of Leroy Township will be 2:45 PM Saturday March 30, 2019 at Spear Mulqueeny Funeral Home, 667 Mentor Avenue, Painesville, Ohio. Family and friends will be received 12:00 to 2:45 PM Saturday, March 30th at the funeral home. Victor was born November 10, 1932 in Cairnbrook, Somerset County, Pennsylvania to Michael and Julia Ann Rebenock. He passed away March 22, 2019 in Cleveland. Victor graduated from Shade Township High School, Cairnbrook, PA in 1950. He worked for Loyal Hanna Coal Company from 1951 – 1952. 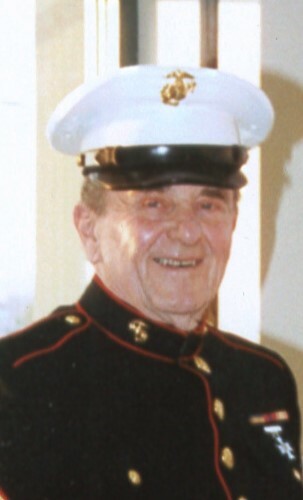 He then served in the U. S. Marine Corps from January 1953 – January 1956. 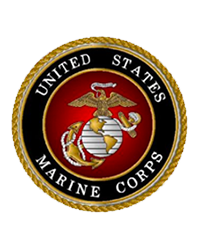 He was a sergeant in the 10th Marines Regiment and Service Battery in the flash and sound section, and the artillery fire direction center as Assistant Section Chief. He received an Associates Degree in Industrial Management from Lakeland Community College in 1978, and a Bachelor of Science Degree in Business Management from Lake Erie Garfield Sr. College in 1985. Victor worked for the Lubrizol Corp in Painesville and Wickliffe from February 1956 to September 1993. He was as a chemical operator, production foreman, production supervisor, section supervisor and training manager at the Painesville facility until 1982. Then went to Wickliffe from 1982 – 1993 as a training/personnel manager for the Lubrizol China Project Central Engineering from 1982-1985. Victor was also a manager of special projects: start-up manager Lubrizol Trans Arabia, Yambu Saudi Arabia 1986-1987; Lubrizol superfund compliance 1988; Lubrizol Quality Management Systems; certification ISO 9002 Texas, Painesville and Canadian Facilities 1988-1993. Victor was a member of the Grand River Fire Department during the 1970’s; President of YMCA Intern Management Council, Lake County Chapter, 1971-1972; Member of Lake County Human Resources Council in the 1970’s; Lifetime member of U. S. Marine Corp League, Col. Chambers Detachment 555; Member of Euclid Rifle and Hunt Club In Hartsgrove, Ohio; and served on the Leroy Township Board of Appeals from 2005 – 2010. He is survived by his wife of 62 years, Kay R, (Deckelman) Rebenock; children, Julie Ann (Rebenock) Schiavoni (Dale); Victor A. Rebenock (Annette); Larry Pugel (Iris); Tom Pugel; grandchildren, Jarrod Burns, Ian Rebenock and Kyle Rebenock; great-granddaughter, Natalie Hinton and many nieces and nephews. Victor was preceded in death by his parents; siblings, Patrick Rebenock, Michael Rebenock, Ethel (Rebenock) Kosisko and Pauline (Rebenock) Pollock.